Our retreats are designed for beginners and advanced painters alike. Watercolor and sketch your way through a French village, the hills of Umbria or the canyons of Zion. Our program is designed to encourage your inner artist to play! Italy 2016 Was a Blast! Our Italian Sketchbook Watercolor Retreat at the beautiful Locanda del Gallo in Umbria was incredible! We look forward to our next Sketchbook Tours adventure. If you are interested in a watercolor sketchbook trip to Portugal or Italy 2018 give us a shout! Sketchbook Tours in Italy! Painting & Playing Since 2003! Under the guidance of artist's Michael and Victoria you will create a visual journal of your travels to the hilltop towns of Umbria, Italy. Our program is designed to access and encourage your inner artist to sketch and play with watercolors while on the go, recording your personal experiences of this beautiful country, its fabulous food and endearing people. All Levels of Artistic Ability are Welcome. Half-day excursions combine the fun of travel and art. Sketch as you go! 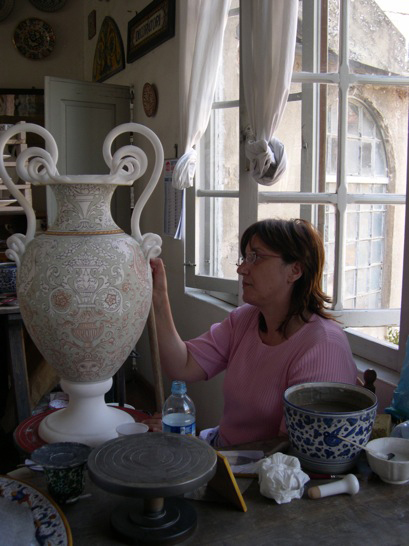 We conduct two half-day trips to local hilltop towns, i.e., Assisi, St. Francis Basilica, Deruta ceramic studio, Gubbio market, Perugia, and local festivals and seasonal happenings. 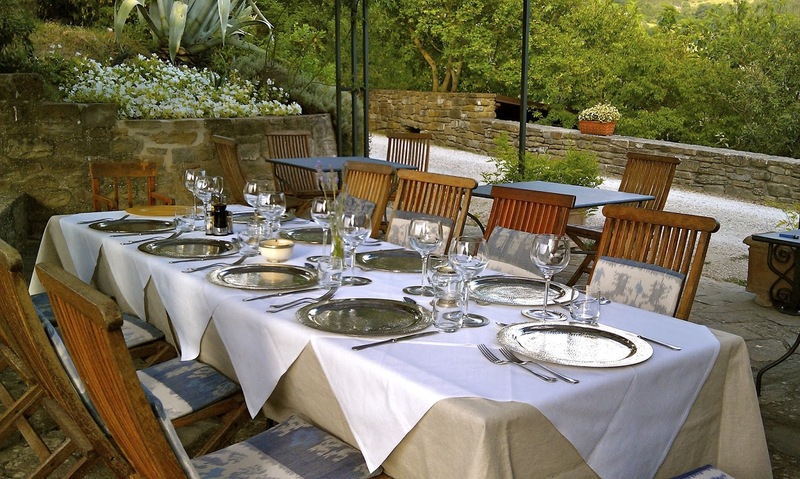 Locanda del Gallo, your accommodation for our Italian Art Retreat is the ideal place to recharge your batteries. 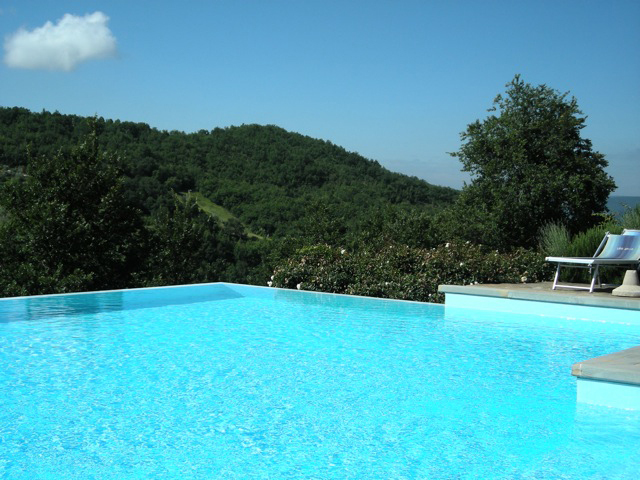 Enjoy the glorious sunsets and stunning views from this completely restored 12th century villa perched high above the Tiberina Valley. 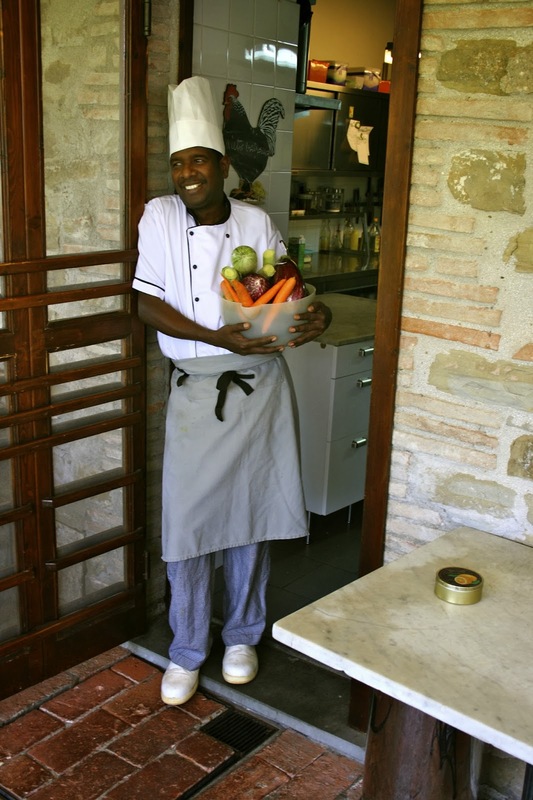 The Locanda del Gallo offers healthy delicious meals; cold pressed olive oil, aromatic herbs; local vegetables and home baked breads and cakes. Special dietary needs are always accommodated. During your free time you can grab a taxi to visit the local villages, hike the wooded grounds, or refresh in the incredible infinity pool. You can also enjoy the villa's just completed and beautiful Moorish-style spa and Turkish bath. This lovely "resting" area is stunning. For your convenience and comfort, the villa provides fluffy white robes and towels. Luxuriate in the steam room, then rinse in a cool mint-scented shower, bundle up and rest in the ample and beautifully appointed lounge area. After sipping hot mint tea, head back to the steam room for another go 'round'. We find this incredibly relaxing after traveling and teaching. Many of our students also enjoy a relaxing massage by their on-call masseuse organized in the spa area with the convenience of a shower and changing rooms nearby. 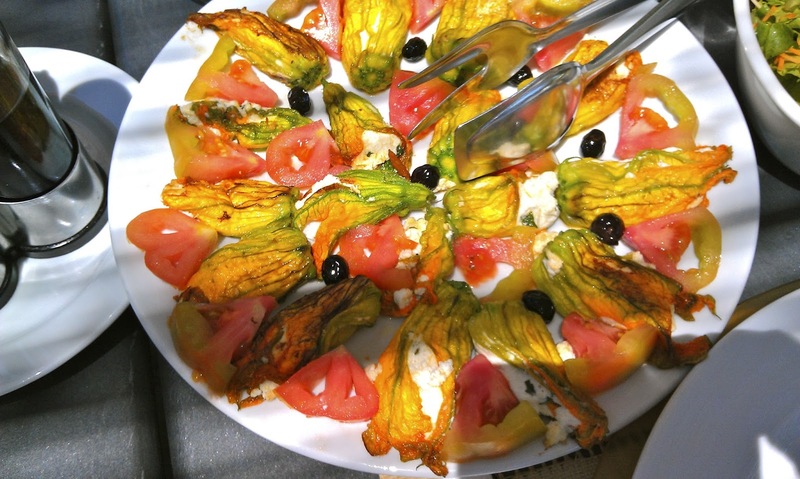 All of this AND the beautiful villa, Jacuzzi, pool, the outstanding meals and the helpful, friendly and generous staff make the Locanda del Gallo feel like heaven on earth. Join us on our next Sketchbook tour to the Locanda del Gallo and the lovely villages of Umbria. For more information stay tuned to this website for retreat announcements. For further information, about our watercolor sketchbook retreats please contact me, Victoria Copeland, at sketchbook.tours@gmail.com. I look forward to hearing from you! Our Blog is designed to inform students and travelers of upcoming trips with Sketchbook Tours. We hope you will join us on our next adventure!